Marching among thousands in Memphis to commemorate the 50th anniversary of Martin Luther King Jr.’s death was Teddy McNeal, an African-American man and 37-year Machinists Union member who grew up on the unpaved end of a segregated street in the rural South. McNeal, along with hundreds of IAM members and thousands more in the labor movement, assembled here to recall King’s legacy and revive his struggle for economic and social justice. 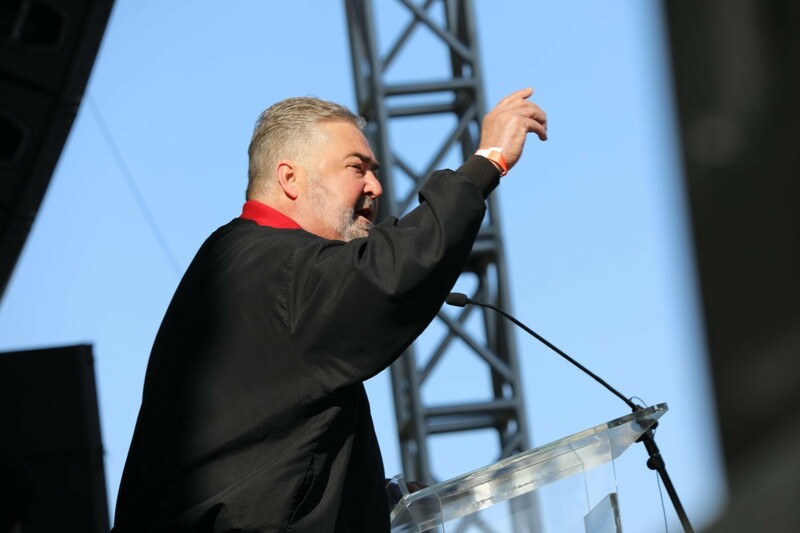 Speakers at the I AM 2018 rally outside AFSCME Local 1733 remembered the civil rights icon and called for solidarity in the face of today’s attacks on working people. After the rally, IAM members, wearing shirts reading “Ask Me About My Machinists Union Dream,” marched a mile-and-a-half to the Mason Temple, where King famously delivered his “Mountaintop” speech the night before his death.